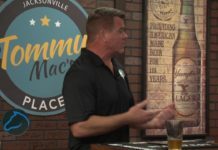 Buzzworthy Events Host Brittany Shaw was born and raised here in Jacksonville. Brittany began her pursuit for her Career in Marketing with a focus in Sport at UNF and began her journey at Buzz Media to take it to the next level in 2018. 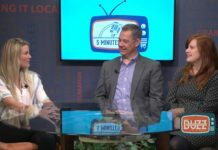 A former NFL Cheerleader for the Jacksonville Jaguars, Brittany values uniting our community through involvement awareness of events happening around the 904. Brittany knows Jacksonville and has a passion for our community. 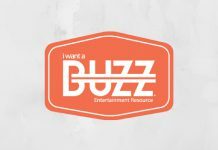 She strives to keep Jax informed on the latest Buzzworthy Events and details so you don’t miss out on them! 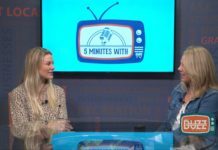 Each week on 5 Minutes With, our host Brittany Shaw talks to buzz worthy people about their buzz worthy events. This week, Brittany talks to Amy Reese and Sean McGill of Katie Ride for Life. 15th Annual Katie Ride for Life supports organ and tissue donation and awareness. 3 cycling routes, fun run/walk, and fun triathlon.